Reinstate higher retirement contribution rates for educators and support staff in public schools. Eliminate "Equalization" that strips funding the schools in communities that need it most. Support paid parental leave for public employees. For every dollar of subsidies cut for renewable energy, an equal amount of money, dollar for dollar, must be cut for subsidizing fossil fuels. Support bond to provide $100 million in funding for Affordable Housing in Utah. Amend statute that prevents counties, cities and municipalities from setting minimum wage rates. Invest in comprehensive, wrap-around care management teams to help individuals overcome homelessness and barriers to employment, combined with treatment for substance abuse disorder, mental health care needs, general health care needs, and life skills training. Conduct a comprehensive audit of criminal justice activity to determine level of disparities in arrests, convictions and sentencing for different racial groups in Utah. Mandate appropriate policies and practices according to findings. Create policy that holds employers accountable for racial and gender pay gaps that cannot be otherwise explained. Ensure that all working parents have access to affordable, high quality child care. Protect unfettered ability to access Constitutionally mandated reproductive rights, ensuring privacy in healthcare choices for women. What should be done to address chronic homelessness in Salt Lake County? Chronic homelessness is complex and multi-faceted, and solutions require collaboration and big-picture thinking. First, homeless shelters are not a solution to homelessness and we must stop thinking of them as such. A shelter must be a safe haven during the transition period toward stable housing. We must have better coordination of services that include employment assistance or job-skills training, applications for subsidized affordable housing, assistance with child care for parents who work or seek employment, and access to comprehensive, quality healthcare, with particular attention to care for mental health and substance abuse disorders. Finally, the state must prioritize funding to support the creation of affordable housing units and it is critical that affordable housing units be co-mingled with traditional housing. Statistics show, unequivocally, that low-income families who live near higher income families, experience better outcomes in breaking the cycle of poverty. Extreme poverty, which is the hallmark of chronic homelessness, is a blight on any civilized society and breaking down the structural inequities that continue to exacerbate the cycle of poverty, especially inter-generational poverty must be addressed. The moral issue is the most poignant, but even leaving morality out of the equation, poverty is bad for the economy. Even the most heartless policy makers can understand the potential benefits that exist if poverty and homelessness are eliminated. To be clear I do not believe that the economic argument is the right reason to do something about chronic homelessness, but it unfortunately may be the only compelling argument for some Utah legislators. If it gets us to where we need to be, we should make that argument when we need to. What will you do to address the pollution and bad air days that come from the inversion season? We must commit the state of Utah to abide by federal EPA standards for maximum allowed particulates in the air. If the federal standards are reduced or eliminated by this president’s administration, Utah should codify in statute the standards outlined in the 2016 Paris Accord. Steps to achieving this include: 1) disallowing companies to average their polluting emissions across all sites (under current law, a refinery has a cap on the amount of pollutants they can emit – they could emit 90 percent of their pollution in Utah and 10 percent across all other sites in the nation. These averages should not be allowed), 2) incentivizing green buildings so that energy efficient, LEED-certified construction is financially competitive, 3) drastically increasing support for solar power, 4) eliminating subsidies for coal-powered energy, 5) creating a solar-powered electric infrastructure for electric cars, and 6) increasing the incentives to purchase electric cars. What infrastructure projects should be prioritized to deal with climate change and why? As mentioned in the previous question, we must create a more robust charging infrastructure for electric cars. Automobiles contribute the greatest amount of pollution in the Wasatch front. However, simply charging an electric car using electricity produced at a coal-fired power plant does not improve the negative effects of carbon emissions on climate change. Also, electric cars are becoming far more common and accessible as many different models continue to be released and have increasing practicality (price, range, comfort, power). Utah essentially exists with a monopolistic provider of electricity. Lack of competition or robust oversight by our state government has created a company that has failed to see the competitive advantage (or even need) of diversifying its energy resources. In a more competitive market, companies would have created solar and wind farms years ago in an effort to secure large market shares of abundant, clean, cheap energy. Our legislature must hold our single electric utility responsible for moving toward a future of renewable, clean energy and scale down all coal-generated electricity. Further, utilities must not be allowed to disincentivize consumers from installing and using clean energy sources. Reprioritizing the objectives for the Utah Public Service Commission should be a critical first step. Lastly, public transportation must be more accessible and efficient. Too many people do not have access to mass transportation that is affordable or convenient. Policy makers must be reminded of the net benefit of reducing automobile traffic and invest the financial savings (cleaner air which leads to better health outcomes, less wear and tear on roads, etc) in more public transportation that is subsidized so that it is more affordable for citizens to use. What is your economic plan to facilitate opportunities for people who did not obtain a high school diploma? I am an enthusiastic fan and advocate for the AFL-CIO’s apprenticeship program. It is specifically designed to provide well-paid job training that leads to solid careers in areas that have long-term economic viability. Careers are readily available for skilled jobs like electricians, plumbers, and welders and start in the $40K range, quickly escalating to the $70K range for certified professionals. It is clear that the traditional education system is not ideal for everyone. We must not expect that everyone will thrive in the same way. We must provide high school guidance counselors with more latitude to help students find the path that best suits their interests and passions, instead of insisting that all students have the same goals and trajectory. Opportunities for 15-16 year olds to explore technical training opportunities at an early age will set many on a course that is best suited to their goals and strengths. What actionable plans are you willing to champion that will eliminate the achievement gap for People of Color; and how long after the day you swear in until we see equity in educational results? First, I believe that equalization in our education system should be reduced or eliminated. The state’s current practice of funneling tax payer money from Salt Lake County to rural communities means that students in lower income neighborhoods bear the brunt of funding shortages in education. Because low income and Title IX schools have a disproportionately high number of minority students, children of color are negatively affected at much higher rates than their white counterparts in higher income areas. This is exacerbated by the fact that the student populations in low income areas are higher and student/teacher ratios are also unacceptably high. I believe that all educational funding that is paid in Salt Lake County should stay in Salt Lake County and that if rural school districts are in need of additional funding, they need to look to their own communities for the appropriate amount of support. Second, I would like to see the child tax credit reduced for higher income families with more than four children. Large families, even those who are higher income, receive large tax breaks that decrease funding to schools, despite the fact that they place higher burden of need on the system. There is an appropriate place for child tax credits, particularly for lower income families, but affluent families should not be eligible for these credits. With better funding for our public schools, special attention must be paid to Title IX schools, including increasing teacher wages, hiring more teachers, and providing supplementary services like after school care, extracurricular activities, and educational assistance programs to help children who have fallen behind to catch up with grade-level curricula. Comprehensive resources will improve likelihood of success for at-risk children who face barriers associated with poverty. Quantifying “success” with regard to inequity in our society is very difficult. I would comfortably assert that I will fight for equality for every marginalized group in our society every single day, both before 2018 election, after the election if I win, or after the election if I do not. This is an objective that will drive my commitment to public service for the rest of my life, regardless of small or large steps in the progress toward better equity for racial minorities, the LGBTQ community, women, families trapped in the cycle of poverty, and any other citizen marginalized by societal inequities. I care very deeply for these issues, and, if elected, will continue to take advantage of my strong working relationships with Utah legislators to pass meaningful policy. 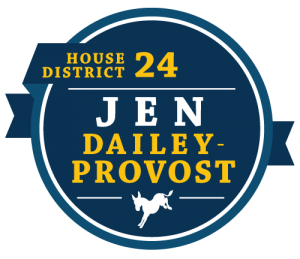 Being just one of 75 House members means that I will have an important voice, but progress on issues of inequality will depend on the type of legislation that is introduced, the support of peers that can be garnered, the financial outlook for the state, and the political climate that exists. These are all realities that I have managed for the last eight years. Despite ideological differences with many conservative legislators, I have proven that I can be instrumental in helping pass effective legislation. I intend to leverage those skills as well as my ability to find common ground and common purpose that is based on the humanity of good public policy. Utah lacks diversity in all positions of authority. Educators, peace officers, elected officials, government employment, etc. What plan do you offer to balance the number of women and persons of color so that they are equally participating in and equally sharing responsibility in our society? I believe that our state would benefit from a commission or task force that will be given the responsibility to identify best practices for creating programs aimed at facilitating achievement among young women, LGBTQ and minorities. Local businesses and government entities should be engaged to provide robust mentorship programs in leadership and skills development for high school students. Such a task force would be responsible for reaching out to a multitude of entities in Utah, including, but not limited to, healthcare providers, police officers, fire fighters, legislators/public servants, business professionals, teachers, skilled laborers, and others for opinions and feedback on how to capture the interest and imagination of young adults. The focus on student outreach should be to foster desire and recognition of leadership potential among women, LGBTQ, and minorities.